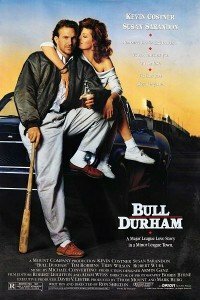 Back in 2007, my friend Terry Starbucker wrote a post about the stirring monologue in the movie Bull Durham where the main character played by Kevin Costner talks about his deeply held beliefs. That inspired some of us to take a stab at our own monologue. I stumbled upon mine recently and was happy to see that it was as true today as it was back when I wrote it. Here’s what I believed back then….and still believe today. being a dad is the most important thing I’ll ever do and that my daughter is my legacy to this world. in the healing powers of walking along the ocean. in savoring when you hit the sweet spot…and knowing how to recreate it. good people become great people when they give from their hearts and that most bad people are good people who are stuck. we are never too old to play and be silly. that nothing says I love you quicker than holding hands. baseball is a metaphor for life and that doing what’s right often means hitting a sacrifice bunt. the word empower should be removed from the English language. we all decide the spirit of our day. in the resilience of the human spirit, the depth of the human heart and the potential of the human imagination. that everything is about relationships and people hunger to connect. I am on this earth to be a part of things bigger than myself, to give all that I have and to love without hesitation or reservation.